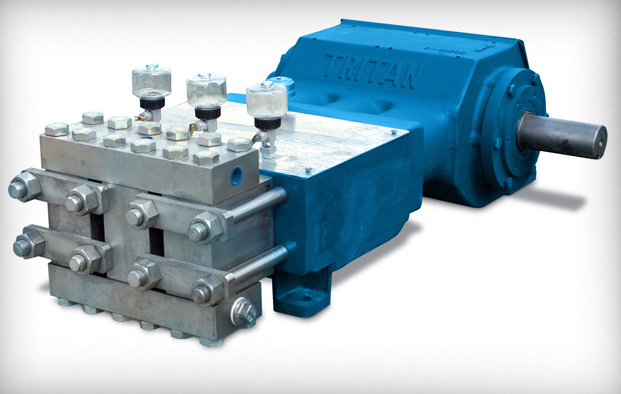 With over 45 years of extensive and successful experience in the pump engineering & manufacturing industry, Tritan Pumps continuous duty chemical injection units are universally known for their durability and dependability. 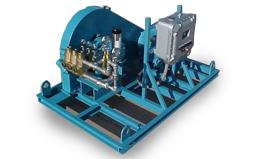 Our positive displacement reciprocating plunger pumps are reliably engineered to specifically function as chemical injection pumps injecting a wide variety of chemicals, including methanol, ethanol, salt water and crude oil. 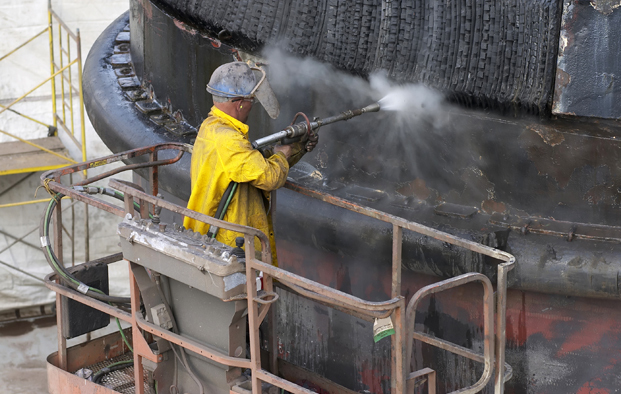 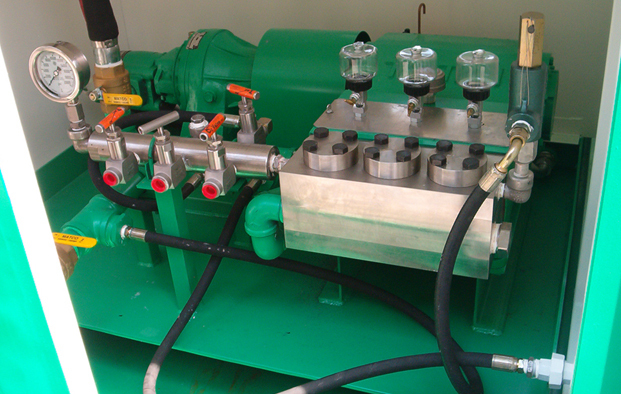 Our experienced Tritan Pumps team of pump experts will be eager to assist you with the planning, specifications, and selection of your chemical injection units, as well as with their installation and operation. 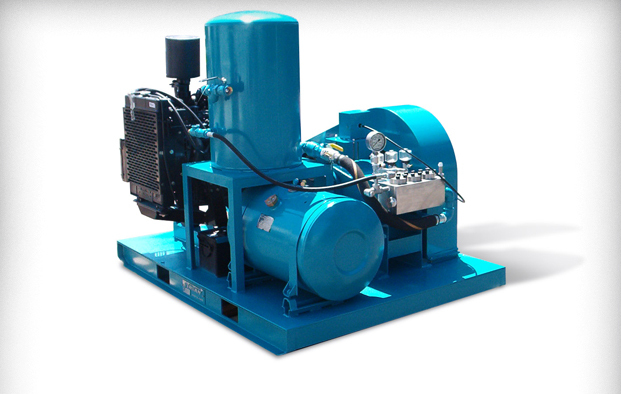 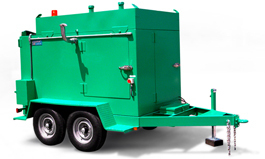 Tritan Pumps manufactures a wide variety of hydrostatic testing units such as those pictured below that are either diesel or electric driven with pressures up to to 40,000 PSI, flows to 344 GPM, and power up to 300 HP. 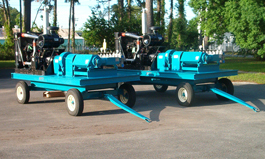 Tritan series 5200SS is a 1" to 3" X 3 1/2" gearbox driven by a diesel engine mounted on a trailer. 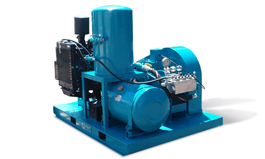 Series 3085SX is a 3/8" - 1 3/8" X 2 1/2" triplex plunger pump hydaulically driven by a diesel engine. 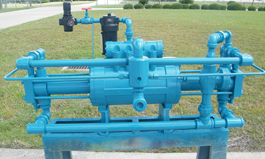 Tritan 3085AB is the 1" to 3" X 2 1/2" triplex plunger pump v belt driven by an electric motor.